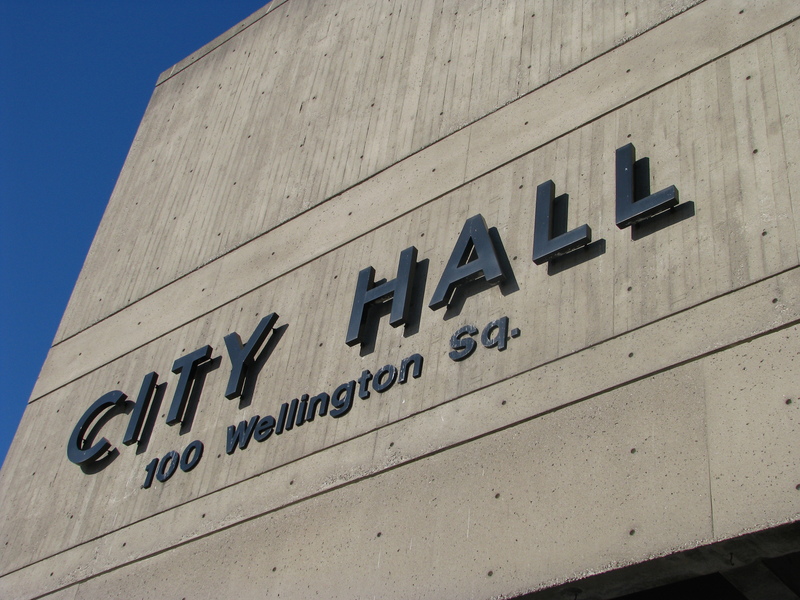 People ask: what should municipal governments do? It’s a difficult question to answer because of the variety of business services that municipal corporations provide. All municipalities, effectively, are holding companies with a selection of business units. Brantford, I was told once, has 82 different business service units in its corporation, offering everything from social services, policing, library service, residential care, water treatment and electrical power. This certainly is one way to see municipal government, in corporate terms. But because municipalities are a unique kind of corporation, instead of asking what municipal governments should do, it’s better to ask how they should act. People are concerned about how all governments act. We understand that government actions affect us. We feel we should be able to affect the process of decision making most, and protect our interests best, when decisions are made locally. Because local government is closest to us, we feel that municipal corporations have the greater responsibility to act to secure the common good and increase our sense of well-being, to keep our homes free of worry. People have a specific interest in how municipal corporations act financially. We feel we should have an effect in managing our common wealth; the community chest. We’re affected by the amount of individual wealth each of us contributes to that fund and how it is spent. Ultimately, we’re concerned because municipal government, like any government, involves the democratic management of the common good and the common wealth. at public meetings of the corporation, and even when we express privately our feeling that we’re not getting the same dividend that we used to. If politics focuses on who gets what, where and how, then democratic politics demands that the people who are affected, the people who own these municipal corporations and their business units, have an equal say in deciding how their corporation should act. Of course, given that there are many different interests to balance in making a decision on how, and in whose interests, the municipal corporation should act, the politics of local decision-making can get messy and confusing. But because municipal corporations are founded on democratic principles, everyone knows we should all have an equal share in setting the balance of a decision. And we also know that from time to time people have to act to make sure that the balance is equitable. The discussion on how to change that balance has been happening everywhere in municipalities around the world. Locally, these discussions have been taking place within a smaller circle of corporate staff and among the corporate directors. That circle is widening. It’s important now to have an effect in framing discussions around how our municipalities act financially. It’s time to reframe the debate. The discussion of costs has dominated the discussion of municipal corporate finance since at least the 1980s. This is not to say that it hasn’t been an effective or necessary discussion, but it is only one way of apportioning value in municipal corporate services. In any case, it’s now clear that the underlying premise in the cost argument (that municipal corporations and all of their affiliates exist to increase shareholder value) is insufficient. This cost-based value argument fails because it cannot actually deal with the rising costs of governance. The causes of rising costs are beyond a municipality’s area of control. It’s a fact that’s frequently ignored in local politics everywhere, but the inescapable truth is that the local costs of governance will always rise. A much more important and fruitful political discussion would focus instead on the way that municipalities act to grow and raise revenue. This discussion will include decisions on who gets what, where and how, and can occur in a manner where everyone has an equal say in those kinds of decisions. At the moment, this discussion does not take place nearly enough. Part of the reason for this is that not everyone has an interest in having that discussion. For example, Ontario municipalities are tied to a property tax system where the amount of land you own and what you intend to do with it trumps the democratic principle that everyone owns an equal share in decisions. But because there’s more shareholders than specific interests in a municipal corporation, we can have this important and fruitful discussion now. We can begin that discussion by talking about how municipalities should act, and in whose interests they have been acting. It’s important to keep in mind that it’s a democratic principle that’s ultimately at issue in discussions of municipal corporate finance. Too often people forget that municipalities are more than commercial corporations, perhaps because we’re so used to seeing our relationship to a municipality in terms of a service/client arrangement. We forget that a municipal corporation’s power to pass laws comes from a different understanding of what’s common, and what’s good. Elected directors need to be reminded of that by the shareholders when discussions of municipal corporate finance take place. Where municipal corporations are truly open to discussing public spending, this is more than just another effort to help people let off steam without really having an effect on how decisions are made. Where there is an underlying commitment to value and understand municipal corporate finance as the management of the common wealth, better efforts at change can take root before things have a chance to go back to the way they’ve always been. Communities that have truly embraced the principle of a common wealth and a common good have acted to make it clear that “if it’s public, it’s ours.” It asks a lot of a community to do that, but it has happened, mostly where people resist efforts to limit the public’s inalienable right to affect change. Typically, this hasn’t been the tradition in Ontario. We’ve had a different tradition here, perhaps a relic of our colonial past, where access to decision-making has been limited and hierarchical. In other places, there’s a tradition where the bylaws of the corporation are presented by the people for ratification by their elected directors. Because of recent changes in the management of municipal corporations in Ontario, there’s much to recommend such an approach. Our failure to set the agenda for municipal corporate finance in the face of downloaded change has been profound. Down- loading changed not only the way in which decisions about who gets what, where and how, are made locally, but also how those discussions occur between municipalities and the provincial government that creates, regulates and still funds them. The lesson is clear. Unless a community asserts its ownership of a municipal corporation, they will lose their ability to affect how that corporation acts. Fortunately, it is possible for any municipality in Ontario to adopt practices in its bylaws to promote this, consistent with the legislation that governs them all. Because public corporations are owned by their communities, if the community sees the need for reform they can set the tone and agenda for that reform whenever they want.